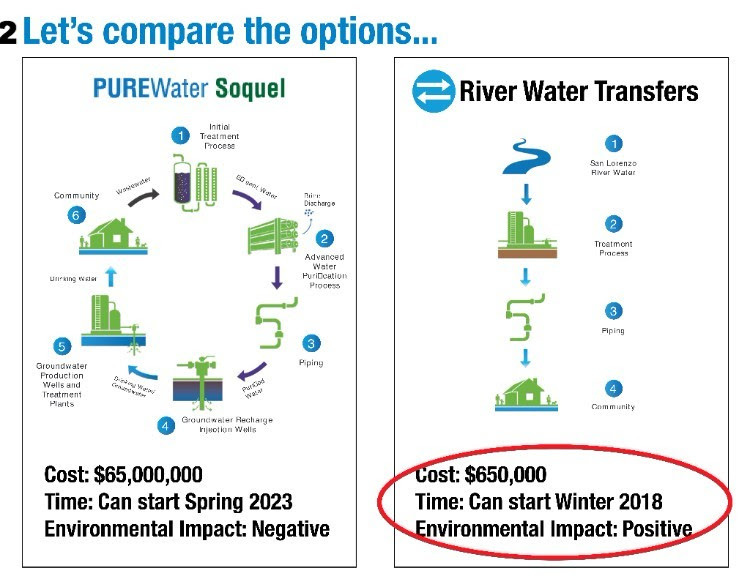 Water for Santa Cruz published a brochure in February that highlighted the water to be obtained by Water Transfers and comparing Water Transfers to “Pure Water Soquel.” The brochure received a lot of interest, and both water districts felt that the brochure overstated the case for Water Transfers. We met with the district staff and had several email conversations. It was a productive interchange of views. 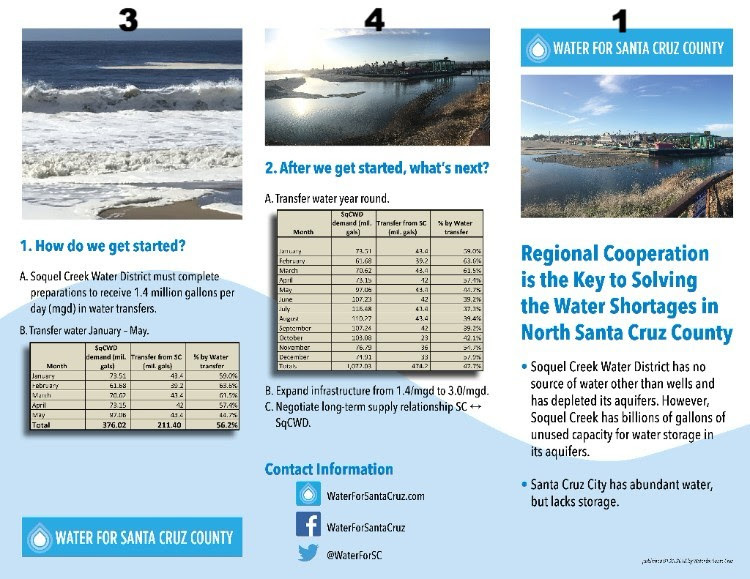 Here is the revised brochure. There are nine changes. See if you can find them all. 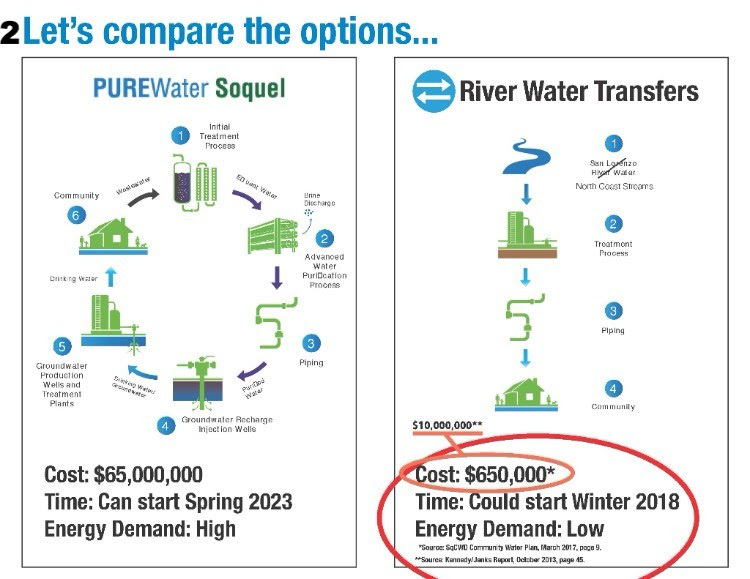 The changes, overall strengthen the case for Water Transfers and make the comparison of “Pure Water Soquel” and Water Transfers even more startling. 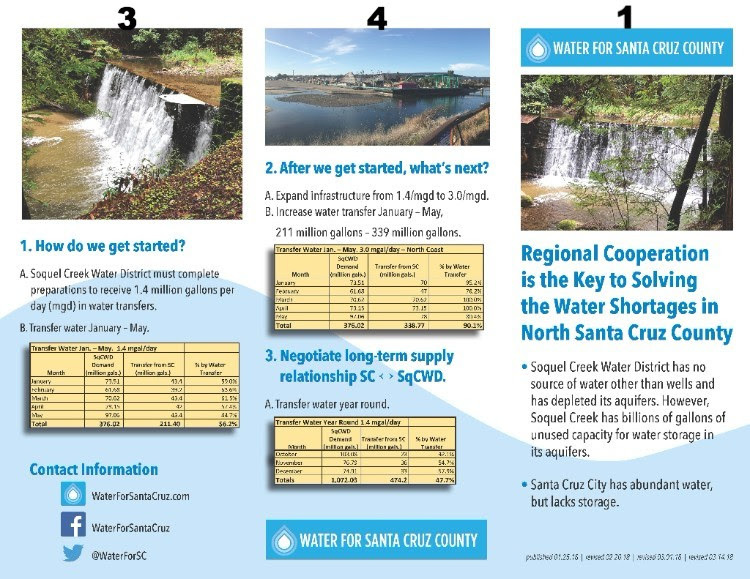 Here is the latest, revised version…. and here is a copy of the original….